The cinema started with movement, ‘kino’, but the real difference between photography and the cinema is not movement, it is the content of each shot. Each shot resembles a photograph, but it is within context, while the photograph is out of context. The context is within the photograph, while in the cinema the context is outside the shot, in the relationship between shots. That is the great difference between cinema and photography. It is not movement, or rather it is movement between shots and above all as a possibility of introducing sound. If there is no movement, there can be no music; sounds do not exist without movement…. One does not need movement to show an image, but one does for sound. One might say, therefore, that sound is more cinematic than the image. Artists want to recreate the world as if they were small gods. They constantly think and rethink about history, about life, about things that are happening in the world, or that we think happened because we believe that they did…. In the cinema, the camera can fix a moment, but that moment has already passed, and the image is a phantasm of that moment; we are no longer certain that the moment existed outside of the film. Or is the film a guarantee of the existence of the moment? I don’t know. The more I think about it, the less I know. We live in permanent doubt. Nevertheless, our feet are on the ground, we eat, and we enjoy life. 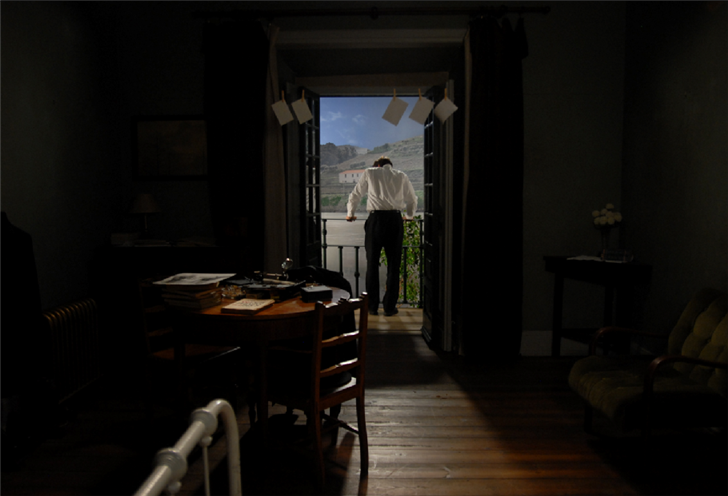 Manoel de Oliveira must be keenly conscious of the fact that he is probably the only active filmmaker — and one prodigiously at work — whose career spans the nascence of the “talkies” and the embrace of computer generated images, because he has made it his task to probe the stages of the cinema’s development as if to say to it, “I dare you to pass into another mode while I’m still alive and kicking with a camera (or a computer) at-hand.” He’d likely master that medium as well, in all its splendor and glory. The oldest — and among the most stunningly prolific — of cinema poets today, the 102-year-old Manoel de Oliveira has recreated the music of the Douro in the air of an angel, which is to say that he has yet again found a way to generate light so as to persuade us that shadows are more ascertainable than life itself. And how delectable that persuasion! How exquisite the choreography of that suspended world and our perceptions that traverse it on chords both harmonious and dissonant. The opening credit sequence of his new film is mesmerizing, a nighttime panorama of lamps moving like fireflies along the path of a river past a velvet black hillside that melts into the sky. In The Strange Case of Angélica, Isaac, a Sephardic emigrant in a Portuguese town on the banks of the Douro River, is called upon by a “very important family” to photograph a young bride who has died shortly after her wedding. Laid out in her finest, just as she went to the altar, she looks both virginal and celestial (though rumor in the town has it that she was pregnant). Beneath the octagonal star of the wood ceiling with its sculpted white dove, something supernatural transpires in Isaac’s viewfinder: Angélica opens her eyes and smiles at him but then closes her eyes again. The young man, already staggered by her beauty, is reduced to a nonplus. It’s only the beginning of his torment. Moments earlier at his work table, Isaac, a refugee from the oil business, stood with a book of poetry by Texeira de Pascoaes in-hand and read, “Dance! O stars, that in constant dizzying heights you follow unchanging. Exalt, and escape for an instant the path that you are chained to.” Now this mysterious “angel” casts him within the transformative powers of Portuguese saudade, the vertiginous whirl of desire acting upon remembrance, of remembrance responding to desire, of a ceaseless longing to embody the spiritual in the material. The Strange Case of Angélica presents an amateur artist caught in the act of creation that fuses nature and the spirit. Intermittently he photographs rural laborers, whose physical toil with old tools delivers the fruits of the land, and a deceased beauty whose spirit departs from her body. Yet neither subject gratifies him with a state of rest; both propel him into a flurry of intensely anxious yearning and anticipation. Dotted with literary quotations read before the camera, songs sung on-screen, magical sequences, and philosophical discourses, The Strange Case of Angélica may in fact seem a strange film. Most of Oliveira’s works evade and even challenge customary storytelling modes of classical cinema. At the same time, most also offer delightful and extravagant forays into the mélange of arts that comprise the cinema. The dim interior of Isaac’s room, which passes for a domicile but is really more of a photo lab, is a dark cavern opening to the Vermeerian light on the hillside across the Douro. For the most part, Angélica floats along like a breeze, and the best way to view it is to yield to its pleasant aura of wonder and surprise. 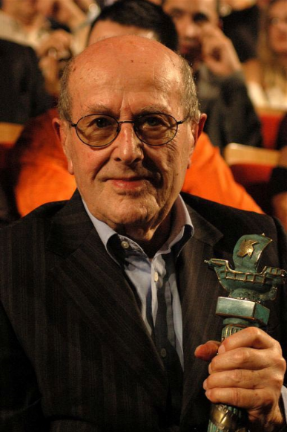 Manoel de Oliveira has been making films for eighty years. Once a pole-vaulting champion, a car racer, a competitive diver, a trapeze artist, and an actor, he also managed his father’s factory, but he left it all behind as a young man and took up moving pictures with a film edited directly on the negative spread across his family’s billiards table. That lyrically modernist document of workers along the Douro River that runs through his hometown of Porto appalled the Portuguese film critics at his debut, but it caught the eye of an Italian, Luigi Pirandello, and a Frenchman, Émile Vuillermoz, one of the first to recognize filmmaking as an independent aesthetic. It was 1931, and De Oliveira had found his calling, an artist’s mission that would bridge the silent movie era with the digital era in a lifelong interrogation of cinema. What could have been a more prescient emblem of that endeavor than the way he opened and closed his first opus, the silent film, Douro, Faina Fluvial (Labor on the Douro), with the image of a lighthouse lamp shining as if it were a film projector? (Oliveira’s father had produced the first electric light bulbs in Portugal and then built an electric energy plant in 1932, so Manoel de Oliveira shot a short film of the plant’s inauguration.) But these first films launched more than motifs in the Oliveira oeuvre; they also introduced themes such as Portugal’s dispossessed workers and the vanishing way of life Douro River, and concepts such as energy, matter and anti-matter. Furthermore, António Mendes himself must have left an indelible impression on Manoel de Oliveira over the years, beginning with that moment. A bookkeeper who loved photography, Mendes had never used a movie camera until Oliveira asked him to shoot Douro, Faina Fluvial; the novice cinematographer then proceeded to develop much of the film’s negative himself in a room of the Oliveira family factory. A year later Manoel de Oliveira founded Tóbis Portuguesa in Lisbon, where he would be equipped to develop the technological process of not only silent but also sound films. Meanwhile António Mendes was on his way to becoming one the leading cameramen of Portuguese cinema. For some twenty years, Oliveira worked on several film projects and achieved, most notably, the beautiful narrative feature Aniki-Bóbó, yet he struggled with his independent approach to cinema under the Salazar dictatorship, which he opposed. Meanwhile he oversaw a vineyard that his wife inherited, and he noted the presence of Jewish émigrés to Portugal who had fled from central Europe and Spain during World War II. In 1952 he wrote a screenplay called Angélica about a Jewish photographer on the banks of the Douro, but when he submitted it to Portugal’s Film Fund for financing, his request was shelved. More than half a century later, and after making over two dozen additional films (including at least one feature each year since 1990), Oliveira has written and directed The Strange Case of Angélica, which played in the opening night slot of the 2010 “Un Certain Regard” section of the Cannes Film Festival in competition. the use of sequence shots and tableaux vivants, a theatrical mise-en-scène, an economical use of camera movement, deliberate pacing, an emphasis on spoken language, frontal framing, a non-emotional mode of representation by his actors, a high degree of self-reflexivity, and a duration that is often considerably longer than the norm. At 95 minutes in length, The Strange Case of Angélica doesn’t subscribe to the last of these tendencies, nor to Oliveira’s inclination to interpret or incorporate other texts — novels, plays, poetry, songs, the Scriptures, or other films. Still, key names and quotes emerge in this film (references to Quental, Régio, Camilo), and the auteur once again stakes out for himself a strict “deontology” for his approach to creating cinema as a whole and each individual film, so as to ensure the “unity, meaning, equilibrium, and identity” of the particular work. Beginning in 1956 with his 28-minute essay film, The Painter and the City, in which he juxtaposed the aquarelles of António Cruz with the backdrop of Porto, Oliveira has spent over half a century turning over questions of representation. Whereas this exploration has often experimented with the interplay of literature, or words, or talking (theatre) and cinema, in this early documentary as in his latest work, he ponders the relation between pictorial and cinematic representation. In his previous work, a painting of a landscape, via editing, gave rise to a filmic image of the same landscape, or a painted train came to life with a cut to a train in motion departing from a station. The differences (or should we guess, the similarities?) between the two separate media have continued to fascinate him, as The Strange Case of Angélica shows us, in which he re-tools the premises and techniques at the very foundation of classical cinema. And why do this? Other than to discover precisely what makes cinema an engaging, compelling art form, to understand the work of its components and their cumulative impact, why construct a film with such flaggingly discrete elements and such visible seams, with glaring intermittent reminders of its very nature — shadows dancing in the light? “It’s a film. It’s not reality,” Oliveira explained to Jean A. Gili in a 1992 interview. “But what’s a film? A film is a phantasm, it is not life. On the other hand, life doesn’t exist; it too is a phantasm. Without books, without historians, without memory, not a trace would be left. The moment is ephemeral. To struggle against oblivion, humans have a need to remake what touches them, a will to preserve that which is important to them.” To this end Oliveira rejects a style of filmmaking that insists that life on the screen is “real” and the spectator is right there with it, in complete but passive emotional and psychological identification with the characters. Instead Oliveira invites the spectator to actively participate in making the film — to remake life — which is, in cinematic terms, resurrecting its spirit from the tangibles of the world. 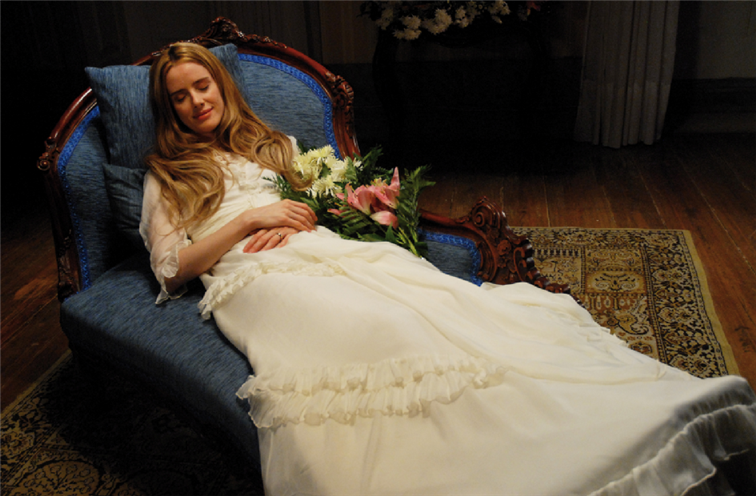 Angélica, Isaac’s muse, engages him directly five times in the film, plus one. After her initial salutation at the Portas estate while her family mourns her loss, she smiles at Isaac again from her processed photograph, clothes-pinned to his line to dry. Is she flirting, taunting, or just enjoying the pastel view of the Douro she faces beyond his balcony, where workers tend to the vineyards? When Isaac steps out to share the view, three huge cylindrical gasoline trucks roar by in primary colors, honking on the road below, jarring him back to his everyday world, reminding him of his past as they move in the opposite direction past a row of uniformly small, rectangular white cars, graphic echoes of the thirteen white-backed photos pinned up in a row beside that of Angélica. These bold lines of horizontal movement across the center of the frame rhyme, albeit abrasively in the case of the trucks, with so many other lines of movement in the film: the dotted white line on the road recalls the repetitive white slats of fences earlier, or white headlights of cars at night flowing in their own river along the glassy black Douro, with a ribbon of houselights blinking like stars from the dark hillside. The composition in any of these resonant, deliberately designed frames suggests the sprocket-holes of a celluloid strip moving through a black field. Since the film’s opening credits, Oliveira has structured this repeated motif as an eloquently coy reflexive strategy that works mellifluously with his wide and long lenses in fixed positions that dwell indulgently in sequence-shots, holding the gaze for meditation on the medium of cinema and one’s relation to it. In the centerpiece of the film, Isaac’s horizontal night flight past treetops and clouds along the Douro carries him in the same stream of motion with the same graceful pace as Chopin’s sonata did in the title sequence. In this dream-like sojourn we find him lying on his back in the embrace of his muse as she navigates their bliss through the midnight sky. “Could I have been to that place of absolute love? Strange, so real — it disappears, like smoke,” sighs Isaac, experiencing for the first time the enchantment of cinema and sexuality at once in the ephemeral joy of the spirit. The fall to the floor (or to the ground) means the end of a life in this film, unless the person or object is restored to its proper place. In an early scene, Isaac inadvertently pushes his books off his work table while achieving nothing but grating static in his amateur radio experiments with sound waves, but he picks the books up again, running his hands over their images and reading from their pages. Later a photo of Angélica has dropped to the floor of his studio at a key moment, but he clamps it once again to the “drying line” strung across the doorway to his balcony. Finally, Isaac himself falls, twice: the first time, upon the grass in the olive grove, spelling his death (though on the soundtrack we hear the engine of a plane taking off), and the second time, upon the floor of his room, signaling the “death” of photography, or rather, its second life in another medium, in the company of an “angel.” A series of gates, cages, and barred doors has suggested Isaac’s lock-out from his destination, but fittingly, it’s the highly cinematic proscenium exit from his workplace to his balcony, visually his portal to the Douro and the “heaven-on-earth” labors it commands, that allows for a resurrection of the image incarnate in the realm of the spirit. 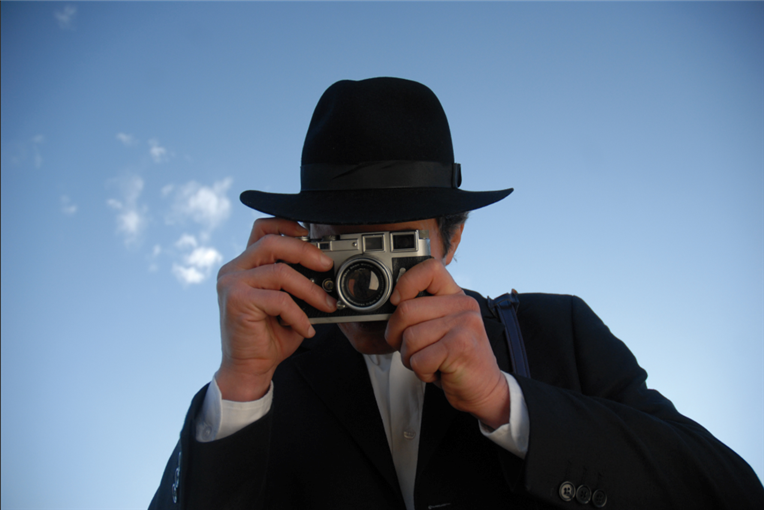 Is photography outmoded by its successor and rendered obsolete? Several engineers at the breakfast table where Isaac boards, experts on rising water levels, pollution, and economic chaos in facing such crises, discuss the “instability” of antimatter that contributes to its rarity: “Antimatter doesn’t swallow matter. When a particle finds its corresponding antiparticle, they melt into an embrace that transforms them into its purest essence.” Hence, commencing with his working like a madman to photograph the men hoeing in the local vineyards and his rapturous encounters with Angélica, Isaac “moans” in his sleep at night. These scenes of work on the Douro hillside beautifully highlight the assets of each art, photography and cinema. A composition of the men lined up in a row, evenly spaced from each other according to the furrows between the vines that cross the frame diagonally, displays its own internal rhythm in the graphic lines of the shot. Yet while the men till the soil, at least two counter-rhythms emerge, not in space but in time, one in terms of sound and the other in terms of light. The men break into song while they swing their hoes — a call-response work song describing their humble clothes with irony. It adds texture to the stationary shot of their toil just as the shifting clouds in the sky and the build-up of fog lend a larger scope to their daily labors, literally rarefying and diffusing light that, changing by the moment, alludes to a larger cycle of natural and social life beyond the frame. Isaac proceeds to photograph each worker in close-up (so rare in the film) as each man freezes momentarily before the camera, staring straight into it as if to command respect for his presence. This stylized succession of shots, like step-frame editing, presents itself as a sequence only later when Isaac sees the many photos side by side on his drying line. The Strange Case of Angélica is an elegy for Portugal’s rural laborers and their vanishing way of life, and at the same time it is a ludic meditation on the process of discovery, the perils of love and perception, the fate of mortality, and the transformative powers of the cinema. Director: Manoel de Oliveira; Producers: François d’Artemare, Maria João Mayer, Luís Miñarro, Renata de Almeida, Leon Cakoff; Screenplay: Manoel de Oliveira; Cinematographer: Sabine Lancelin; Editor: Valérie Loiseleux; Sound: Henri Maikoff; Set Design: Christian Marti, José Pedro Penha; Costumes: Adelaide Trêpa; Visual Effects Supervisor: Philippe Szabo; Music: Frédéric Chopin. Cast: Ricardo Trêpa, Pilar López de Ayala, Leonor Silveira, Luís Miguel Cintra, Ana Maria Magalhães, Isabel Ruth. Color/B&W, 35mm, 95 min. In Portuguese with English subtitles.